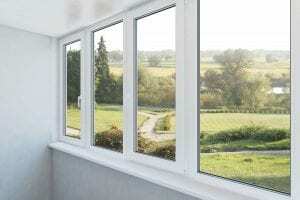 A window replacement can seem like a daunting project to undertake. Even when you know that you have hired an experienced Fremont, CA replacement windows company, you may still be worried about your property. To make this easier both for yourself and for the workers who will be doing the installation, you can do a few simple things before they arrive. The first thing you need to do is to remove anything from the walls around the window that will be removed. Although installers have experienced and are very careful as they work, accidents can happen. By removing any fragile items, you will allow them to work more freely and perhaps even allow them to finish the installation a bit faster. Take the time to remove not only what is on the walls, but everything that is fragile, like ceramics, glass ornaments, paintings, and more. You should clear a path to the window. If there is furniture that usually blocks the path, remove it so that the workers can have quick access to the workspace. If you have carpet on your floor, place something to protect it. A path of plastic can be very useful in keeping dirt from the carpet fibers. You can do this on wooden floors, too, if you are worried about scratching them. Since the installers will have to go in and out of your home, you can save yourself a lot of cleaning after they leave by creating path for them. Be sure to also cover all of the furniture in the room. Replacing windows can get messy and can mean plaster, dust, and dirt can get on everything. You can prevent this by covering all of the surfaces with sheets, tablecloths, or even garbage bags. Window installers always work quickly and efficiently, so that you do not have to worry about your property being open to the elements, but coverings can also help with this. In places where it is very humid, a garbage bag or any other kind of plastic can protect furniture. The same thing applies if you are worried about damage from the sun. If at all possible, the best thing to do is to remove the items you are concerned about, but if it is not, then you will want to cover them. These simple tips can make the process of installing replacement windows in Fremont, CA easier for everyone. Why stress yourself over fragile items when you can instead move them somewhere where they will not be in the path of the installation? Probably the best thing you can do to protect your property is to hire people who are experienced and who are reputable. They will do their best to work carefully and quickly. Experienced installers can get the job done in a few hours so that you can get back to your life. 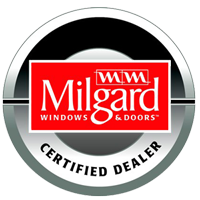 Get started by contacting My Window & Door Solutions at 1510 Oakland Rd., Suite 130 San Jose, CA 95112. Give them a call at (408) 437-6274.